A busy fight weekend awaits us with bouts on HBO and Premier Boxing Champions on Fox. Oddly enough, the collection of fighters making their way to the ring range from up and coming like Dmitry Bivol to never weres such as J’Leon Love and as far as everything else, it’s pretty much the showdown at the last chance saloon. 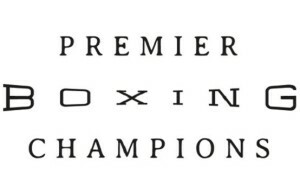 Andre Berto and Devon Alexander main event the PBC card for the honor of getting their brains beat into scrambled eggs by a top Welterweight in the near future and that fight features Peter Quillin making a surprise appearance as he faces off against the aforementioned Love. Even Luis Collazo shows up against Bryant Perrella, hammering down the notion that everyone is fighting for relevance this weekend. On HBO, Sergey Kovalev faces his sternest test since the losses to Andre Ward as his stock and fanbase seem to be dwindling. Eleider Alvarez has been out of the ring for nearly a year, but is the Colombian ready to face off against this confidence-stricken version of Kovalev? Either way, Dmitry Bivol lurks on the undercard as the rising contender looks to secure his shot at the winner at the expense of Isaac Chilemba. 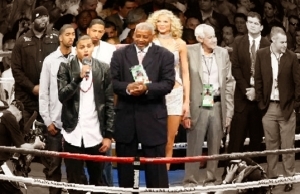 It seems like almost yesterday when a Sergey Kovalev fight was a big deal and there’d be no containing the bonerfest from the HBO commentators, but two subpar showings after his KO loss to Andre Ward have been enough to convince people to jump off the bus. 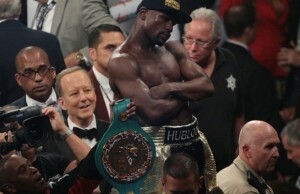 Kovalev is simply not the same fighter he was. The ferocity and confidence is all but gone, but is that going to be enough for Eleider Alvarez to pick up a big upset win? Alvarez is 34 years old and in his first world title fight and really hasn’t looked anything beyond the pedestrian level Kovalev can still beat on a bad night. Kovalev might take a few rounds to get going, but he’ll eventually get to Alvarez and stop him late. If anybody is going to take Kovalev out of the game, it’s going to be Bivol who is set up against Isaac Chilemba on the undercard. This serves as little more than a stay busy fight for Bivol, who will no doubt be facing the winner of the Kovalev/Alvarez fight in the near future. While Chilemba has some wrinkles in his game, Bivol is fighting below his grade and will show once the bell rings. If Bivol doesn’t stop Chilemba early, he’s going to be beating him up for 12 rounds and win a wide and clear decision. This would have been a much more interesting fight almost a decade ago when these guys still had treads on their tires, but now it just signifies two fighters racing to the end of their careers. 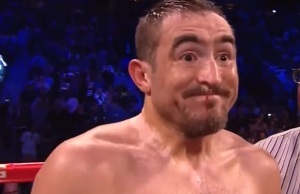 Berto is coming off of an awful beating from Shawn Porter that should have been it for him, but the light fisted and tentative Alexander might give him the best chance to go out with a win. Alexander’s inability to step on the gas or change gears if things get rough would have been disastrous for him if these two fought in their primes, but I’m more willing to take Alexander’s consistency over Berto’s desperation come fight night. Devon Alexander should win this one, but I wont you if you can’t watch this one the whole way through. The perpetual twilight of Luis Collazo continues with the aging ex-Welterweight champion still showing he can go at the age of 37. Collazo doesn’t have enough left to make a run at a world title in a division this deep, but he might have enough to turn Perrella away. Perrella’s only loss came against Yordenis Ugas who beat him up and stopped him in four rounds back in 2016. He’s only fought once since then and really isn’t ready for someone of Collazo’s class with just 16 fights into his career. Hard to see Collazo lose this one, so I’ll take the veteran by decision. Former Middleweight champion Peter Quillin is fighting for only the second time since he was knocked out by Daniel Jacobs in one round back in 2015 whereas J’Leon Love has been living on borrowed time feasting on low level opponents over the last few years. Quillin’s championship pedigree and faster hands should be the difference maker here, and while the jury is still out on if Quillin has enough in him to make a run at 168, Love has been treading water for a long time. Quillin should sink Love further down into the depths with a late round stoppage.